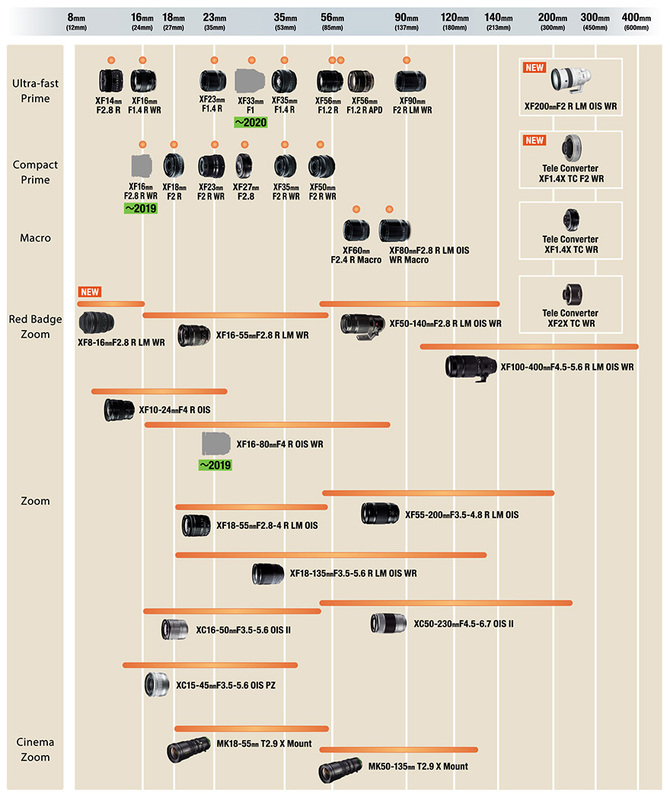 Fujifilm has officially released a new X-mount lens roadmap, add three new X-mount lenses to their roadmap: XF 16mm f/2.8 R WR Lens, XF 16-80mm f/4 R LM OIS WR Lens, XF 33mm f/1 R WR Lens. The XF 16mm f/2.8 R WR lens and XF 16-80mm f/4 R LM OIS WR lens will be released in 2019, while XF 33mm f/1 R WR lens will be released in 2020. Fujifilm XF 16mm f/1.4 R WR Lens now In Stock and Shipping !